Dey do do dat dough don’t dey dough! Scousers give dreadful West Ham a pasting. “Now I’ve swung back down again, it’s worse than it was before. If I hadn’t seen such riches, I could live with being poor.” So sung the band James in their 1991 hit Sit Down perfectly summarising the emotions that followed the highs of last week’s victory over Tottenham with the lows of the abject tame surrender to Liverpool. There could be some mitigation in defeat due to absence through injuries but it is no excuse for a collective giving up after the first goal went in. This was not the result of complacency at the end of a hard season but an abysmal capitulation at the end of a campaign where survival was by the slimmest margins of some lucky wins and one storming performance against Spurs. The fans deserve and expect more and who can blame the majority for leaving before the lap of honour? If the players couldn’t be bothered to put in the ninety minutes effort why should supporters, who have given up so much time and money, hang around to acknowledge them. One of my problems with Slaven Bilic is that he is a reactive manager, and even then he is usually slow to react. Having by accident or design hit upon a formation that tightened up the defence for a while he was always likely to stick with it regardless until it went horribly wrong. 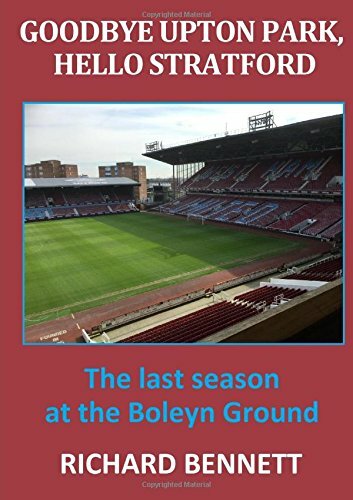 Despite having allowed Kouyate and Noble to blag season ending sick-notes he attempted to maintain the same system equipped with unsuitable players against a Liverpool side that were set up very differently. Even the half time break did nothing to address the obvious problems. The only hope would have been to stop Liverpool scoring and settle for a goalless draw, a task that look beyond them as the visitors were repeatedly given space and time in the box. The breakthrough when it came stemmed from a pointless and wasted Calleri flick, in a rare West Ham attack, followed by Dad’s Army defending; Collins inexplicably leaving Sturridge all on his own while a daydreaming Fonte kindly played him onside to capitalise on Coutinho’s excellent through ball. With no ideas how to respond the remainder of the game became an exhibition match for the visitors which echoed prior desperate defeats to Arsenal and Manchester City. Still at least we beat Tottenham. I was trying to think of the worst open goal miss that I have ever seen. There are quite a few compilations on Youtube; Ronnie Rosenthal normally sets the standard but I am sure that the one by 20 million pound striker Andre Ayew on the stroke of half-time will feature regularly in years to come. What made the miss so special was, not that it was only 2 or 3 yards from goal, but that having hit the post of an open goal once he did exactly the same again when the ball rebounded nicely to him. In a typical game Ayew rarely contributes a great deal but he can normally be relied on to convert the simple tap-in. On this occasion he failed on both counts and yet still survived for almost 80 minutes before being replaced by 10 million pound misfit Robert Snodgrass. It is all well and good putting youngsters like Rice and Quina on the bench for matchday atmosphere experience but why bother if there is no intention of giving them a run out no matter what the circumstances? I have become wholeheartedly confused recently about what does or doesn’t constitute a foul or a penalty (or a handball come to that); particularly in relation to intent. The Winston Reid penalty claim incident that immediately preceded the third Liverpool goal is a perfect example. Liverpool’s Wijnaldum jumped with arms raised and struck Reid in the face (plus he may even have also handled the ball). The referee waved play on and compounded his decision by not stopping play despite Reid appearing to have a head injury. Typically, Liverpool did not put the ball into touch even though Adrian had done so earlier when a Liverpool player went down injured. I have since heard pundits (well Andy Townsend to be precise) say that there was no intent by Wijnaldum; but then that is often the case with many tackles,, which are mistimed or reckless rather than intentional, and where even the merest hint of a touch has players tumbling ground-wards to general ‘they were entitled to go down’ punditry. Surely anyone raising their arms should suffer the consequences whenever a collision occurs, just as they should if the balls hits them. What with the goalkeeper’s get out of jail card that we saw in the Loris challenge on Lanzini such game changing decisions are becoming more of a lottery year on year; not that this one decision was the excuse for yesterday’s defeat. For the first time yesterday we saw a Feghouli who actually resembled a top level footballer. Although only on the pitch for just over half an hour he looked both lively and to have a bit of pace, and was one of our better players. Where had that performance been all season or was this a pop-up shop window display? Too late to convince me that he has a future, however, and is one of several players, along with the likes of Calleri, Snodgrass, Ayew and Fonte, who I would be happy to see the back of. My fear, though, is that the club would simply replace them with a procession of fading, over 30’s whose best days are well behind them, just being currently better than what we have is not sufficient justification. Perhaps one day we will realise that success in modern football requires pace and stamina all over the park.